Having a child is one of the most exciting times in a parent’s life but wondering what will happen to your child if you’re not here is a parent’s worst nightmare. No one wants to think about the possibility of their death, especially when you’re young and healthy, but as a parent it’s critical you put legal arrangements in place for the care of your children. One of the first things you should do when becoming a parent is to appoint a person or persons to act as a guardian for your child or children – this involves making or updating your Will. Why do I need to appoint a guardian for my child or children? If you want to have a say in who will care for your child or children, then you need to appoint a legal guardian. It can help to avoid uncertainty or family disputes about who is responsible for a child or children after their parents have died. If you haven’t made provisions for a guardian in your Will, it is possible that any person with sufficient interest (such as grandparents, or other relatives) can apply for guardianship of your children. In these types of circumstances the Family Court decides who should become the legal guardian, which may or not be the person you would have chosen. In Queensland, a guardian or guardians can be appointed to act in the event of the death of one or both parents. What is a guardian responsible for? 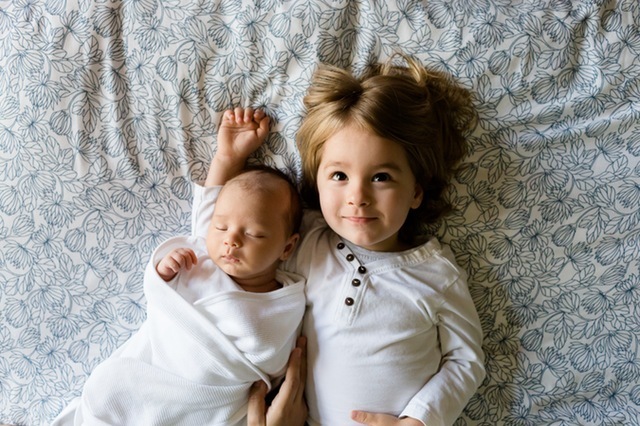 A guardian appointed under a Will is responsible for making decisions about the long-term care, education, welfare and development of the child. Generally, a guardian will also be responsible for living arrangements and daily care, if the child has no surviving parent. A guardian appointed by a Will is also subject to any Orders of the Family Court of Australia. How should I choose a guardian? The relationship or existing bond between the proposed guardian and the child. The relationship between the proposed guardian and the proposed Executors and Trustees of the Will. Where the proposed guardian lives. Does the proposed guardian have children of their own and does your child have an existing bond with them? The proposed guardian’s age and health. The impact on the proposed guardian’s lifestyle. What level of financial assistance the proposed guardian would need to care for your child. Does the proposed guardian have similar values and beliefs that align with your’s? It’s incredibly important to speak to your proposed guardian and discuss your intentions and expectations before appointing them in your Will. Your proposed guardian needs to be willing and able to take on the role and adhere to your wishes. Gill & Lane are very experienced at Wills and administering estates, as well as advising on guardianship . We can help navigate any complex issues such as existing custody arrangements and advise on the appointment of appropriate guardians, executors and trustees – all to ensure your child’s best interests and your wishes are safeguarded. Contact Gill & Lane Solicitors at Sandgate via GregL@gillandlane.com.au, or 3269 8111 for a free, no obligation consultation. Get our latest updates, useful information and news straight to your inbox. At Gill and Lane, we’re experts in Wills and Estates and keeping the process as simple as possible. Contact us and we can help safeguard your future wishes.